‘Documentation of folktales, oral history and other narrative forms of Singpho community folklore in the State of Assam and Arunachal Pradesh of India’. This documentation project is being implemented by IRDIS in the Singpho inhabited villages of Tinsukia district in Assam Changlang district of Arunachal Pradesh. It is an ongoing project. The Singpho community in India do not have written documentations on their history, their routes of migration, their customs, traditions and rituals, beliefs and their traditional knowledge. However, all these facts are preserved in their oral folklore which has been communicated from generation to generation and embedded in their folk tales, oral history and other oral narrative forms. In the absence of written documentations in oral communication we have to rely entirely on the older generations of the community for relating the stories, recitations and songs which are a storehouse of knowledge related to the concerned community. It is therefore imperative to document the oral narratives of the elderly members of the Singpho community to archive and document for posterity the folktales, oral history and other oral narratives which could throw light on the history, routes of migration, cultural heritage, oral language and the traditional knowledge of the Singpho community, which seem to be threatened and dying out with the passing away of each senior member of the community. The elderly members of the Singpho community are extending support to IRDIS in documenting oral traditions. The cultural and social experts of the community engaged in field work are assisting IRDIS in this project. 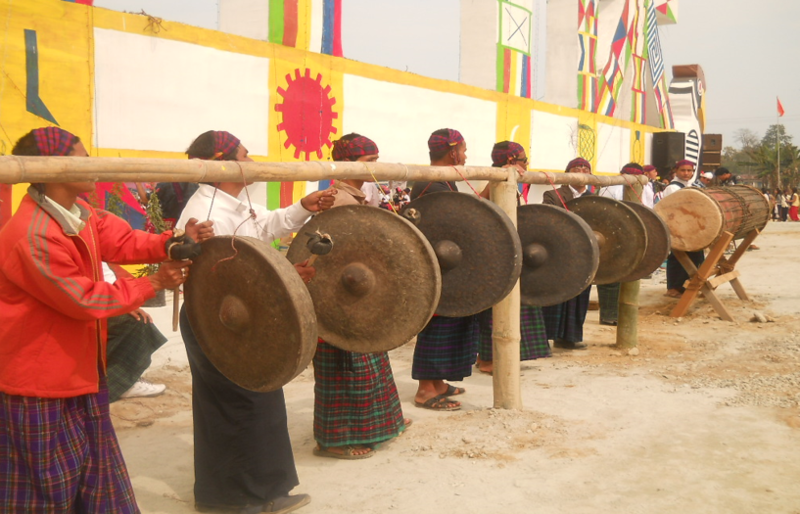 The oral renditions are in the Singpho language which are being translated to Assamese and English.